"They are sort of trapped in those bodies. They have the intelligence that they need to communicate, but they don't have the right equipment, because they don't have voice boxes or vocal chords. So this gives them a way to let us know what they know, what they are capable of, what they would like to have." The iPads have also assisted in a quicker diagnosis of medical problems as they allow the orangutans to identify their own physical ailments. "We're able to really monitor their health on a daily basis," Jacobs said of the need for communication with the orangutans. "We can do daily checks. If somebody's not feeling well, we know it immediately." "Our young ones pick up on it. They understand it. It's like, 'Oh I get this,'" Jacobs said. "Our two older ones, they just are not interested. I think they just figure, 'I've gotten along just fine in this world without this communication-skill here and the iPad, and I don't need a computer.'" 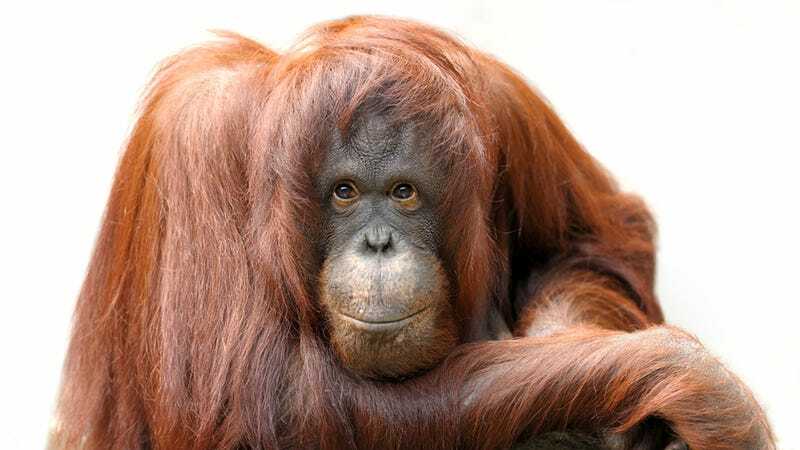 Other zoos have also began using iPad technology for their orangutans, with Richard Zimmerman, executive director of Orangutan Outreach, building an Apps for Apes program which will filter old donated iPads to wildlife facilities around the country.